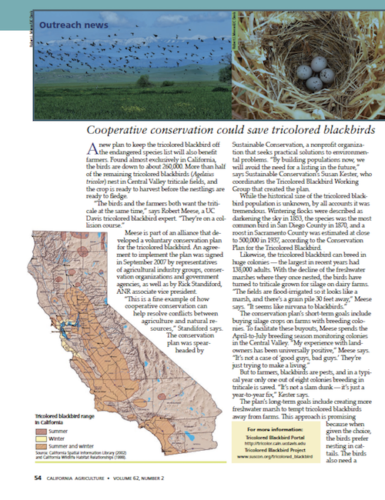 “A new plan to keep the tricolored blackbird off the endangered species list will also benefit farmers. Found almost exclusively in California, the birds are down to about 260,000. More than half of the remaining tricolored blackbirds (Agelaius tricolor) nest in Central Valley triticale fields, and the crop is ready to harvest before the nestlings are ready to fledge.